There was a time all you had to do was get it on walls, the internet is such a vast platform with so many options, I genuinely feel like it’s still a beast I’ve not quite yet tamed! I’ve gone through quite a transition in recent years as I decided to leave the world of Fine Art publishing, and go back to working independently. I was 7 years into my career when I signed with a large publishing company at the end of 2007, which certainly got me noticed. All of a sudden, where I had one picture to exhibit at an art fair, 95 copies of it were now on gallery walls throughout the UK at a much more affordable price. That got me a much wider audience than I could have achieved alone. However, to make that really work you have to be prolific, and the fact is I’m not! On average I produce 12 original paintings a year, so I never quite achieved the mass sales required by an artist to be a long term success in that world. If I were to maintain a steady and achievable income, I had to go it alone. I was released from my contract in March 2014, and in a way I feel like I’m starting out again…after almost 15 years! My first job was to revamp my website www.sarahgraham.info, so I properly invested in that last year with a local web designer, the emphasis being to show my archive of paintings as well as possible, and a few info pages I can easily update as my career evolves. Having your own patch on the internet is vital, it helps form your identity, and when I signed with my publishers I made sure I was able to retain that. In fact I’ve had my own site since 2003, I used to work part time in an independent gallery, and a local web company offered to use work experience staff to build websites for artists at the gallery in exchange for artwork. This is a great way to do things if you can, try to realise the value in what you do, and sometimes that can be traded for other people’s skills who are also starting out. I guess it’s combining creative forces for the greater good, mind you, there have been times I’ve not always got this exchange of skills perfectly balanced! I guess it’s a different world now for artists starting out. Nowadays, having an internet identity is second nature, and I expect most are even capable of building their own bespoke sites. I realise there are a lot of free platforms, I’ve recently started using a very affordable shopping site which will link to my own once it’s better stocked. As I say, I’m still in the process of building a new body of work, and until then I myself am researching how best to go back into print. One thing I think is important: it’s healthy to keep your professional identity online separate from your personal one. So although I use all the mainstream social media, Facebook has proved particularly useful in connecting with people now I’m independent again. I make sure I don’t post what I’ve had for breakfast on my art page! Obviously it’s hard to draw the line as an artist, after all you are your work, but just keep mindful of this balance. Ultimately, though, nothing beats seeing an original painting in real life, and for years I simply told myself all that mattered was to actually make the work exist, then stuff will inevitably happen to it! For me right now, my main focus is getting it on actual physical walls again, next year will see me return to independent galleries and the Affordable Art Fairs, both home and abroad, and I like the idea of finding unconventional walls too! My current show in Soho is at a very bohemian venue called Maison Bertaux, a 100 year old patisserie cafe that exhibits artwork. The show is called ‘Alright Sweetart?’ and runs until the end of the year. 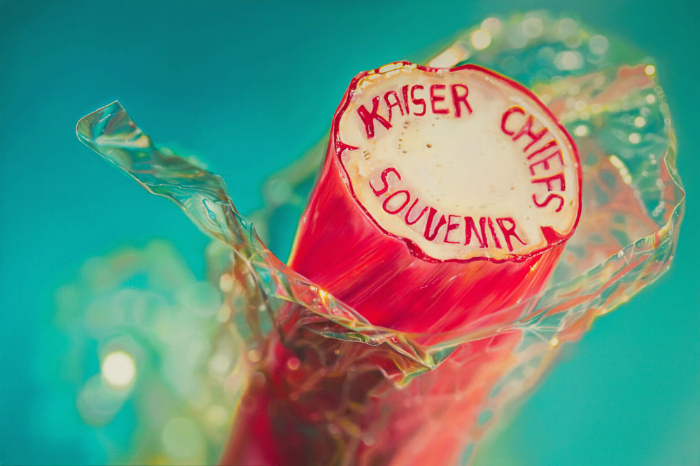 Here’s a recent commission ‘Pop Star’ 70x110cm oil on canvas, and a painting that is perhaps my most well known to date as it was used by Kaiser Chiefs for their 2012 singles collection ‘Souvenir’ – the painting was called ‘Kaisers Rock!’ 80x120cm, oil on canvas. 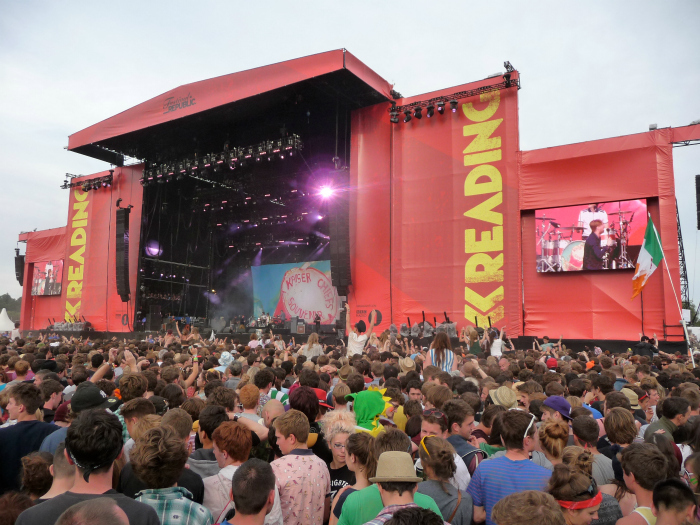 It was used as a backdrop for shows and festivals, so easily wins the prize for most ‘noticed’ artwork by me! 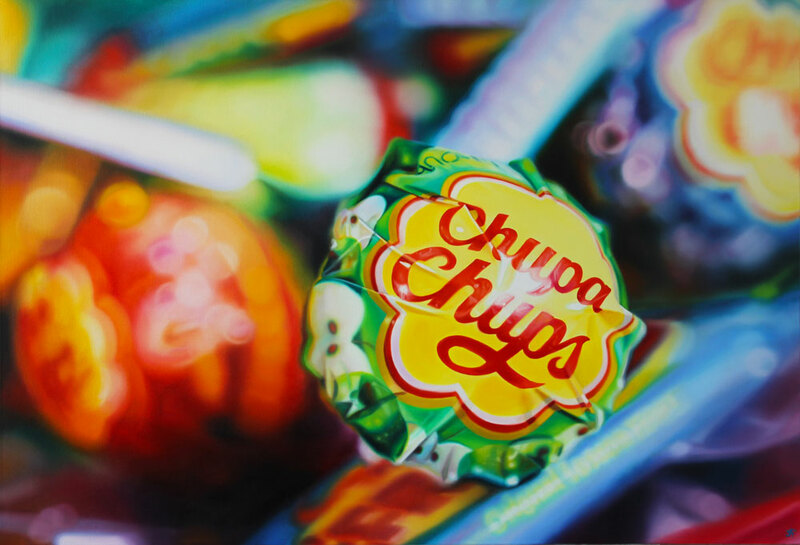 Sarah Graham is a photo-realist artist working in oil on canvas. She is represented by the fine art publisher's Washington Green and her work is also available as boxed canvas limited edition prints from galleries across the UK & abroad. Her originals are in private collections internationally including Europe, the Middle East, the USA, Australia, Africa, and the Far East. Had to pop in and say, lovely blog post! And your work is simply out of this world. Good luck with all your on-line endeavours and getting out there again. Welcome to the Zippi Studio Blog, a place where you can engage, catch up and share anything creative or indeed something completely different! March 20, 2019 0 How to take a great selfie! My Photo Gifts Limited. All Rights Reserved.